Hot competition in Open Classic with Second Spot and Lloyd Cox. Second Spot, by Spots Hot, won Monday’s Ike Hamilton Open Classic with 224 points under Lloyd Cox, while Cinca Im Hot, by Spots Hot, and Blackish, by Spots Hot’s son Hottish, tied for reserve with 221 points. The win was worth $11,226 for 6-year-old Second Spot, who came into the Classic with career earnings of $336,532. 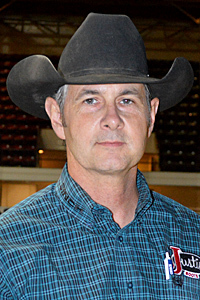 Owned and bred by Barker Ranch Cutting Horses LLC, Madill, Okla., Second Spot won the 2016 NCHA Futurity Open championship with 229 points under Matt Gaines. Her dam, Reycy Moon LTE $209,363, by Cats Moonshine, is a three-quarter sister to Pedel To The Metall LTE $226,591. Six-year-old Cinca Im Hot LTE $151,207, bred by Paul Dean and owned by Rocking P Ranch LLC, Fort Worth, Tex., is shown by Jesse Lennox, who rode her to win the 2017 Breeders Invitational Open championship. She is the only money earner out of the Dual Rey daughter Cinca De Maya LTE $106,341, a full sister to Lil Rattler LTE $338,873 and Button Down Supercat LTE $285,048. Cinca De Maya’s dam, Highbrow Supercat LTE $364,690, was the 2005 NCHA Futurity Open champion and is also an all-time leading producer of earners of over $1.2 million. Five-year-old Blackish LTE $93,024, owned and bred by Julie Jarma, is shown by Lloyd Cox, who rode her to win last year’s Ike Hamilton Derby and the Cattlemen’s Derby. Julie Jarma showed Blackish’s dam, SS Blacks Lil Kitty LTE $185,839, by Blue Bayou Boon, to win the 2012 Brazos Bash Non-Pro Classic, as well as two NCHA World Series championships. SS Blacks Lil Kitty is half-sister to Rollz Royce $173,604, reserve champion of last year’s Ike Hamilton Derby and the NCHA Super Stakes, under Beau Galyean.